iRealHousewives | The 411 On American + International Real Housewives: Sneak Peek: Tamra Judge Wants To Clear The Air With Peggy Sulahian! Sneak Peek: Tamra Judge Wants To Clear The Air With Peggy Sulahian! 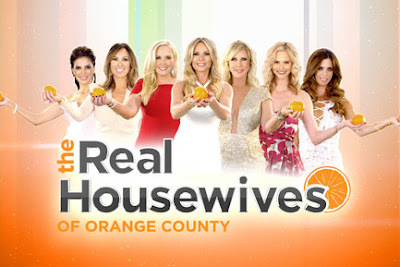 On Monday's all-new episode of The Real Housewives of Orange County — Vicki Gunvalson gets green with envy when she learns that Kelly Dodd is planning on celebrating St. Patrick's Day with Shannon Beador and Meghan King Edmonds. Peggy Sulahian learns that something got lost in translation between her and Tamra Judge at the Nobleman Launch Party. Lydia McLaughlin ponders if her son's dreadful prophecy will come true as she competes in a Spartan Race with Tamra, Eddie, Doug and David. Meghan hopes Irish eyes will be a smilin' upon Shannon and Kelly as they engage in a heavy pour of whiskey and whimsy. Watch a sneak peek preview below! In this exclusive preview clip via Entertainment Tonight, Tamra Judge decides to clear the air with Peggy Sulahian as the two meet up for a lunch date to talk things out. If you recall, on the previous episode, Tamra wrote Peggy off after she told Tamra to “get over” her long-standing, complicated feud with Vicki Gunvalson. Tamra jumps right in, asking Peggy if she even knew that Tamra was upset with her after their heated exchange at Lydia McLaughlin’s party. “I just felt like you just came at me hot and you wanted to shove Vicki down my throat,” Tamra tells Peggy. “Well, I don’t think I was dramatic,” Tamra cuts in. That’s when Tamra decides to get really real with Peggy, straight up asking her if she’s aware of her resting b***h face. “Don’t act like a b***h, and I won’t give you the face,” Peggy scoffs in a confessional. In this other clip, Lydia's son is worried about her competing in a Spartan race and Lydia wonders if her son's prophecy will come true. In this other clip, Tamra thinks she judged Peggy too quickly during a double dinner date with the Beadors.